Cute little items put a smile on my face. These Items are from a Shop in Malta called Furla, located in Sliema. This is a luxury Handbag and Accessories Shop Found in a number of countries. I tend to swift through the catalogs and want nearly every single candy bag that they have in store. 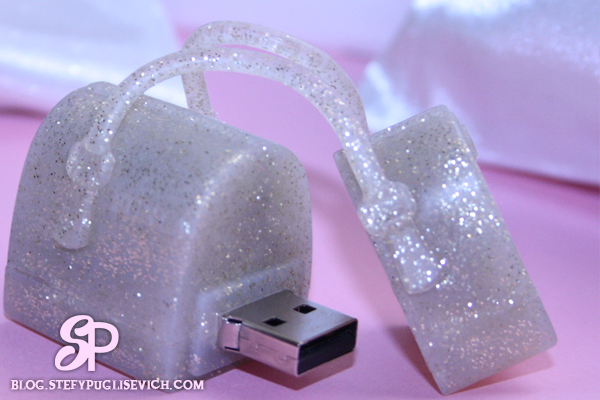 One of my closest friends works here and She gave this cute Silver Glittered Candy Bag USB Stick for Christmas Last Year and a Pair of Red Leather Gloves that were just in time for London back in December. The Gorgeous Tortoise Keychain was a little party gift from her B'day BBQ that she held last summer It's such a cute keychain that I have added it to my keys stash and looks amazing and easy to find. HAVE YOU BEEN TO FURLA YET?